Do you watch Netflix on a regular basis? Ever binge watch an entire season (or three) of your favorite series? Do you sometimes feel guilty that you’re using up valuable time that could be focused on learning Spanish? Well, you needn’t worry any longer! Those evenings spent curled up on the sofa watching Netflix can be transformed into extremely effective Spanish study sessions. If you’re not quite convinced that a night in with your feet up could be a real way to learn Spanish (or if you just need to be armed with excuses when others ask) then check out the following reasons why Netflix is a great way to bring your Spanish up to the next level. 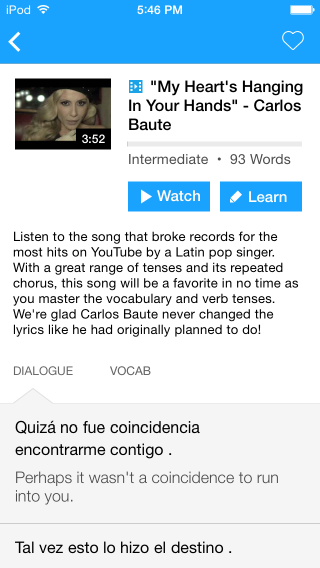 By simply throwing on some Spanish subtitles, you could be picking up on new phrases, as well as reviewing vocabulary you’ve already learned. Be careful not to go overboard on the rom-coms or you might end up scaring someone away! You may find that there are certain words in Spanish that just don’t roll off the tongue as easily and/or sound nothing like how a local would say them when they come out of your mouth (there’s also the slang to consider, but that’s another whole ball game that you don’t have to worry about right now). However, like anything else, the best way to learn something is often by doing one thing and one thing alone: practicing. And so, when watching your movie or TV show on Netflix, have a go at saying words out loud as the subtitles run across the screen (however, be careful not to disturb anyone else’s viewing in the process!). By doing this, you’ll not only be drilling Spanish words into your head, but you’ll also be gaining confidence in actually saying them out loud. Who knows, after a few movies you might well be ready to take on the Spanish speaking world and mingle with the locals, thanks to all your new found phrases. It’s been said that employing visual aids is often the best method for learning. 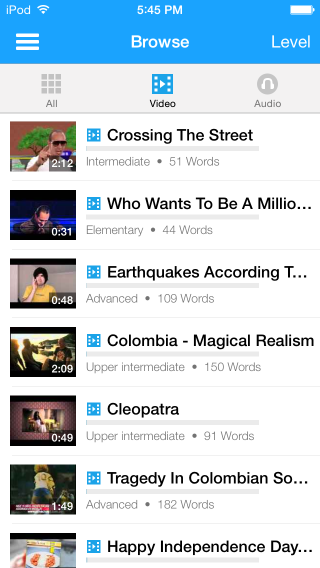 If you’ve never read subtitles in Spanish while listening before, give it a try with FluentU’s Spanish video clips! 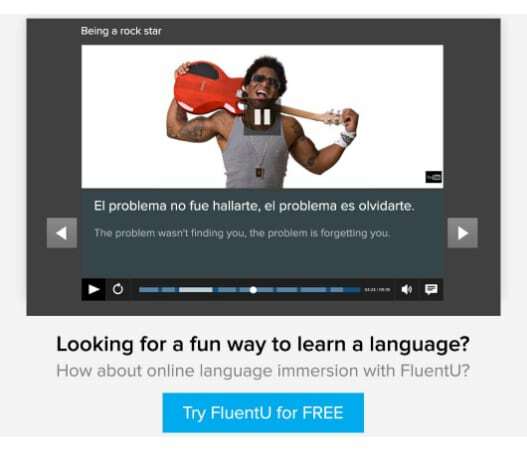 FluentU takes real-world videos—like music videos, commercials, news and inspiring talks—and turns them into personalized Spanish learning experiences. The best part is that FluentU keeps track of the vocabulary that you’re learning, and it recommends more examples and videos based on the words you’ve already learned. Every learner has a truly personalized experience, even if they’re learning with the same videos. 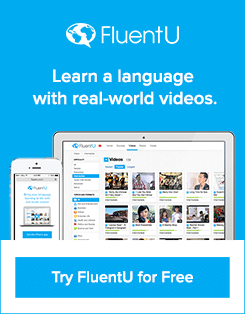 Start using FluentU on the website with your computer or tablet or, better yet, download the app for your iOS or Android device and access FluentU on the go. Consider it your “warm up,” if you will, for all the Spanish Netflix streaming to come! Who says you can’t have fun when learning Spanish? After all that reading, listening, writing (and rewriting no doubt), a bit of lighthearted entertainment might just be what you need to bring the joy of learning back again. 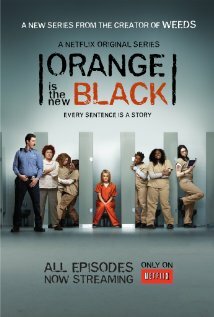 You could even make Netflix a treat after completing one of those more challenging Spanish learning tasks, such as learning irregular verbs or getting through a particular tense. Just think, a good movie and some popcorn could be waiting for you after a few hours of learning the past tense of ir or ver, or when you’ve finally mastered the preterite. We’re not talking about subtitles per se, but another option on Netflix that will definitely develop your Spanish (and your listening skills in particular) is to either add audio/dubbing to your viewing materials (set-up instructions below). Of course, you can always go ahead and watch an original Spanish movie or TV show. If you decide to watch a Spanish language movie, then favorites such as “Medianeras“ and the Oscar winning “El secreto de sus ojos“ might be at the top of your list. Furthermore, if you’re looking for something a bit different, sites like Cinemargentino offer an opportunity to watch independent movies free of charge. 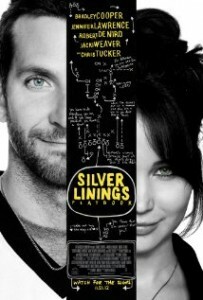 These movies are particularly useful for those trying to get a handle on distinctive accents, like what’s spoken in Argentina. You can breathe a sigh of relief, as most of the Spanish movies mentioned above do come with English subtitles. So, if you’re feeling out of your depth, you could always switch these on for a bit of help. 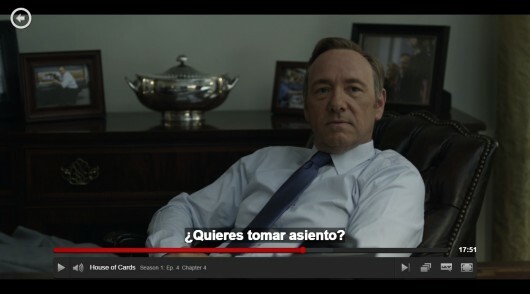 But, I must warn, the best way to watch is with Spanish subtitles! 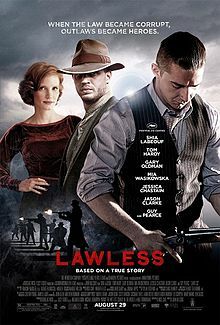 If you really need the English help, watch it once with English subtitles to fully understand the plot, but then be sure to watch it again with Spanish subtitles for full learning benefits. So now that we’ve gone through all the reasons why using Spanish subtitles on Netflix is a no-brainer, here are a few simple steps to set it all up! First things first, you’ll want to check out the list of viewing material that’s available with Spanish subtitles on Netflix. This link will show you the most up-to-date list. From that page, just click on “Spanish” from the “Choose a language” scroll-down menu, and then you’ll see a list of all the TV shows and movies that are currently available to choose from. Once you’ve chosen something to watch from that list and clicked the “play” button, the next step is to add your subtitles (or audio). 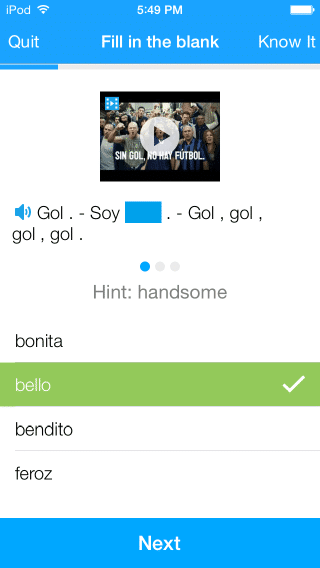 Simply hover over the middle button on the bottom right-hand side of the black bar, then click on “Spanish” (and/or click on “Spanish” under the audio button). 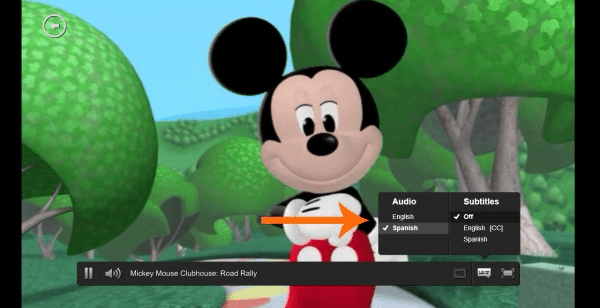 Believe it or not, it’s actually possible to customize your subtitles so they have your preferred color, font, size and background—pretty cool, huh? Just click here if you’d like to give your subtitles a personal touch, but make sure they’re still legible when you’re done! And that’s it! There’s nothing left to do except sit back with your favorite snacks and watch your Spanish-flavored favorites on Netflix. Enjoy!